If your customers are looking to beat the heat this summer, you should point them toward Fujitsu ductless mini split systems. Starting June 1st and running through August 31st, you can earn cash for every qualifying Halycon condenser that you install and register online during the promotion period–up to $5,000! 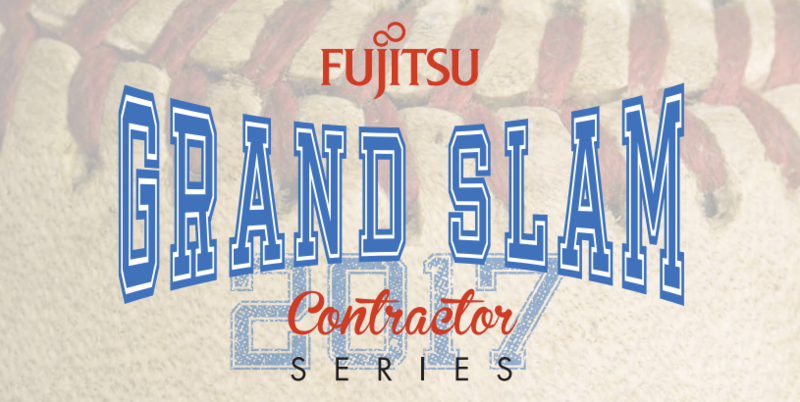 05.15.17 – Contractors can register for the promotion through their Fujitsu Toolbox account. A Toolbox account is required to participate in this promotion. 06.01.17 – Opening Day! Condensers purchased, installed, and registered on or after this date count toward your Grand Slam numbers. 07.01.17 – Soft close of contractor enrollment. If you enroll between June and July 1st, you can retroactively register qualifying models that were purchased and installed during that period. Contractors can still enroll after July 1st, but they will only be able to submit models that were purchased and installed after their enrollment date. 08.31.17 – Last day to purchase and install qualifying models. 09.10.17 – Last day to register installations online. Create or log in to your Fujitsu Toolbox account online. Sign up for the promotion by clicking on the icon that looks like a baseball. Whenever you install a qualifying model, register it using the Toolbox within 30 days of installation. It’s that easy! After the promotion has concluded, you will receive your earnings through a direct deposit. If you are a Fujitsu ELITE contractor, you’ll also earn loyalty rewards for your participation! 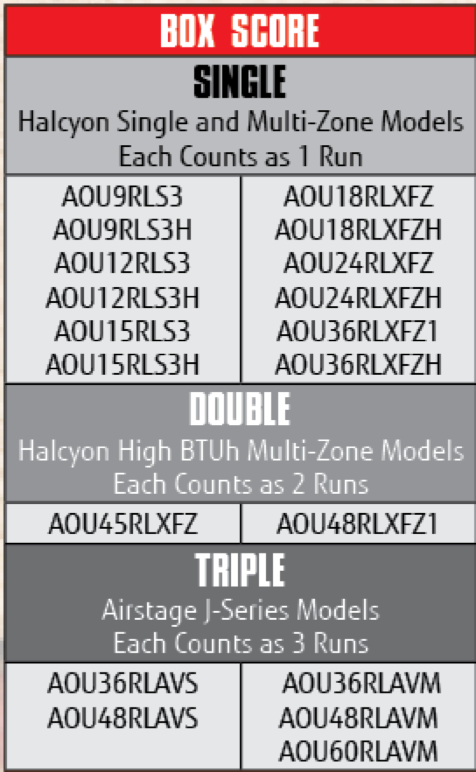 Each qualifying models counts as one to three runs. At the end of the promotion, your total runs accrued will determine your payout.